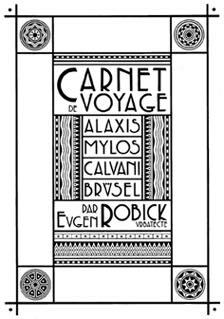 Carnet de voyage [Travel Notes] is a book written by Eugen Robick when he was touring the cities of the Continent in his youth 1). A handful of copies made it to our world, and are very actively sought after by collectors. The booklet was the first collectors item of the Obscure Cities series.